This means we have measured the greenhouse gases emitted during each hour of flight from all of our helicopters operating in all varieties of work we do (Utility, tourism, widlfire, film, rescue etc). We have mitigated these emissions from our flights by purchasing the equivalent amount of carbon offsets, where the money will go to fund green projects. We chose to offset with Offsetters, Canada’s leading carbon management company. Their offset projects are validated and verified by third parties to ensure that the emission reductions are real, additional and permanent. 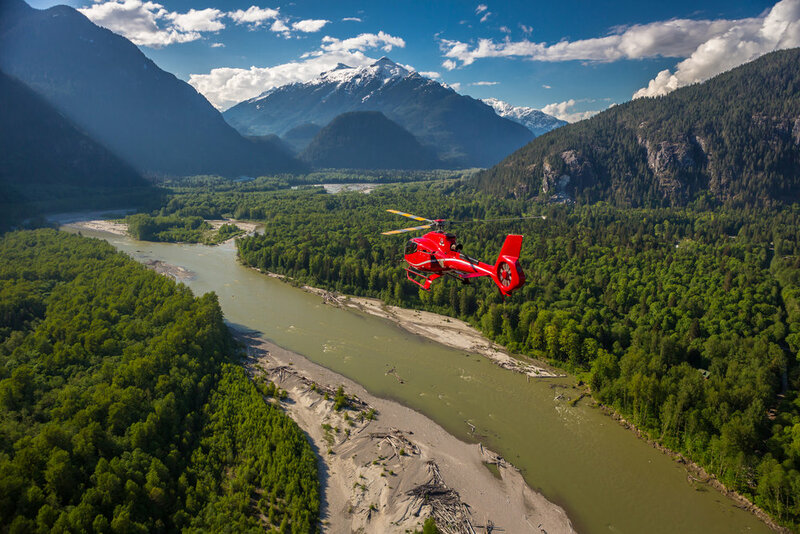 By contributing to the Quadra Island Forestland Conservation Project, we support a local project that sequesters the equivalent amount of greenhouse gases that we emit - thus neutralizing the climate impact of our flights. A carbon offset represents a one tonne reduction in greenhouse gas (GHG) emissions. These emission reductions are validated and verified by third-party auditors to ensure that they are real and would not have taken place without the funding provided by carbon offsets. To ensure transparency, offsets are listed on a registry. Each offset has a serial number associated with it and when purchased is denoted as retired on that registry. A carbon footprint is an inventory calculating all the GHGs emitted by a person or business over a specific time period. To be carbon neutral, one needs to purchase the equivalent number of offsets as the amount of GHG emissions they emit. Beginning in 2019, we’ve committed to offset all of our flights - and therefore neutralize the climate impact of those flights. The offset project that we’ve chosen to support is the Quadra Island Forestland Conservation Project. Quadra Island, just off the eastern coast of Vancouver Island, is a popular summer destination for locals and visitors. This project ensures that 418 hectares of forestland along the coastline-previously designated to be logged or converted to vacation homes-is now protected parkland. Because the area joins two existing parks, includes rare second growth Hemlocks, and contains 10 Aboriginal heritage sites and a historical Aboriginal portage route, the BC government has been trying to protect the area for almost 20 years. It was only with the promise of funding from carbon offsets, along with contributions from a diverse group of donors and a land trade, that it was possible for the government to purchase the site.